Tomorrowland has become one of the world’s largest music festivals since its launch in 2005. Each year the festival sells out over 180,000 tickets within minutes. The festival takes place over two weekends with approximately the same lineup. 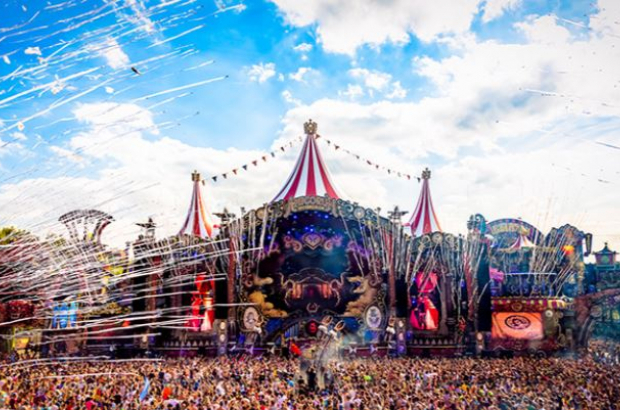 Tomorrowland’s complex stages and famous light shows provide the colourful backdrop for their headliners Alan Walker, Alesso, Yellow Claw and more. 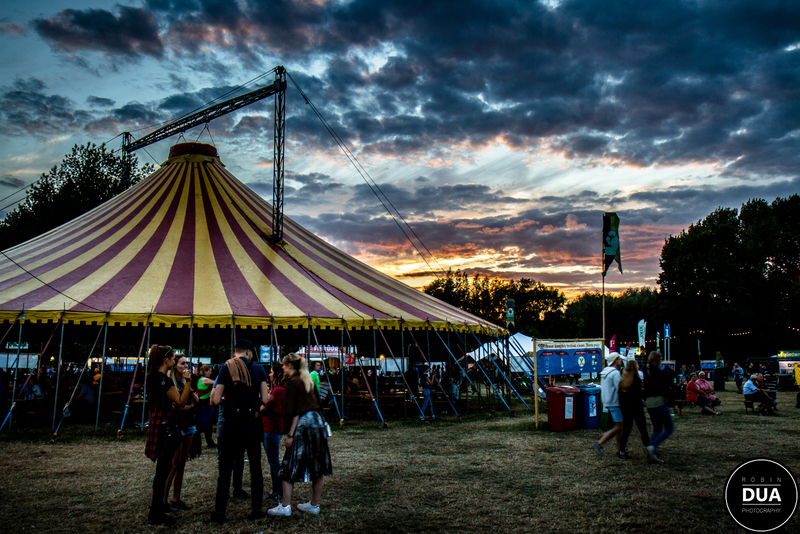 Located underneath the famous Atomium, Couleur Cafe features reggae, hip-hop, world music and much, much more. This year, Leon Bridges and Young Thug are on the lineup as well as returners Selah Sue, Milky Chance and Ziggy Marley. 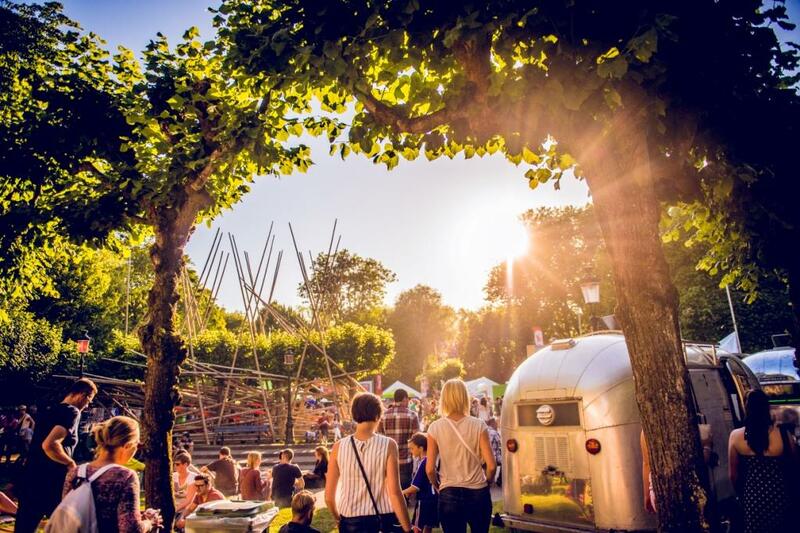 With a “Secret Bar” hidden away, a “Namasté Zone” to relax, and over 40 food stalls from around the world, Couleur Cafe is an international music festival right in the heart of Brussels. Three-day passes are €85 or €99 with camping. Day tickets are €42, discounts for groups of 10 or more at €37 per person. A week after Couleur Café is over, the venue hosts a completely different festival. The small-scale Brosella is one of those few festivals that have managed to hold on to their tradition. No mixing it up here: as it’s always been, it’s folk on Saturday and jazz on Sunday. This is one of the most pleasant festivals around this summer and children are welcome too, with a second stage, the Kids Corner, just for them. Headliners on the first day are The Klezmatics, the New Yorkers who have revigorated klezmer music. More innovators on the second night: headliners The Bad Plus produce music rooted in jazz, but the result is as elusive as it is beautiful. Seven different stages feature alternative, house and dubstep music among other genres. Headliners include ILoveMakonnen, Alt-J, MØ, and Diplo. Five-day passes are €170 and single day tickets are €75, both include access to general camping. A five-day pass to comfort camping is €280. Metal, punk, heavy rock and all of the above, Graspop hosts the likes of Iron Maiden, Bloodbath and Marilyn Manson. Thursday tickets are still being sold for €89 while Saturday and Sunday single day tickets are being sold for €99. Friday and combi tickets are already sold out. BSF began in 2002 when it was known as Eurit’mix. Last year it boasted more than 100,000 spectators to a wide range of genres and venues all across the city. This year the festival will feature 61 acts including Shaka Ponk, Thirty Seconds to Mars and dEUS. 14 August single day pass is being sold for €30, all other single day passes for €35, five-day passes €65. With around 20 acts, Cactus Festival showcases a pop, rock and alternative lineup featuring the electric sounds from Goldfrapp and experimental Suuns. In its 36th year, Cactus Festival is sure to deliver tunes to dance away the weekend. Pre-sale tickets are available until 12 July, tickets will also be available for sale at the festival gates. Day tickets start at €49, two-day at €85, three day at €110, ages 13-14 €15 per day, those under 12 are free. This smaller festival guarantees fun for the whole family. With the upbeat rock of Millionaire and the indie Douglas Firs, Antwerp’s left bank will be transformed into a laid back summery festival. Tickets will be sold at the festival gates for €15 and €12 before 15.00 on Saturday. With a wide range of talents, Les Ardentes provides an eccentric weekend in various performance halls as well as standard outdoor stages. This year’s lineup includes Migos, Wiz Khalifa and Orelsan. Doors open at 13.00 every day and four day passes are already sold out. Single day tickets are still available for €60 each. For a full immersive experience, four-day VIP passes go for €400. With free admission, Sfinks Mixed provides diverse and cultural fun. Julian Marley and Oumou Sangaré are among those already confirmed. Sfinks dedicates a third of their park completely to children with a makeup stand, bouncy castles and other safe activities. Low waste, green energy and organic foods are just a few of Paradise City’s promises as a green festival. Focusing its efforts on sustainability to reduce its carbon footprint, festival organisers hope to convince festival goers to do the same. The fourth annual electronic music festival is set at the Castle of Ribaucourta in Perk. Listen to the electric music of Ketaloco, Laurent Garnier and more right next to the 12th century castle grounds. Tickets start at €49. Suikerrock or “Sugar Rock” is named for Tienen’s historical sugar refinery. The festival itself is free, but tickets for the mainstage hosting the likes of Pitbull, Gers Pardoel, Goo Goo Dolls and more start at €49. Last year, the festival’s wide variety of food trucks, sales booths and mainstage acts attracted over 100,000 people. Be prepared to rock out at this festival in August. Stealing its name from the United States federal prison in San Fransico, California, Alcatraz is hosting Status Quo, Ministry and other heavy rockers. With a festival mascot “Office Nice” you never really know what will happen at this all weekend-long party. Tickets are already available for online purchase starting at €50. Belgium’s biggest alternative music festival has become one of Europe’s hottest tickets, encompassing everything hi-octane to lo-fi, from hot metal to banging house. This year’s edition features chart-toppers Kendrick Lamar, Dua Lipa and Rag’n’Bone Man and artists with cult followings like War on Drugs and The Wombats. Opt for the VIP package offered by De Boeck and you can forget all the queuing and wading through the 60,000 or so revellers that Pukkel attracts each day. It offers four portaloo-free nights at a Hasselt boutique hotel, taxi transfers to and from the festival, unlimited access to the VIP chill out area with upmarket catering, and a terrace overlooking the main stage. Despite De Boeck’s corporate outlook, it stresses the packages are open to everyone, from lone revellers to groups of friends. 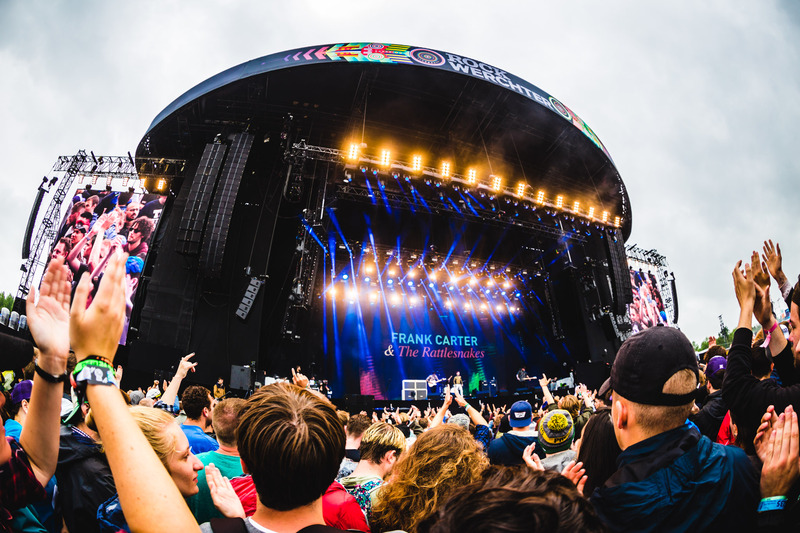 One of the biggest music festivals in Belgium, the main stage features big-name musical talents from a variety genres including Rae Sremmurd, The Killers, Jack Johnson and Kaleo. Three additional stages host the likes of Khalid, CHVRCHES, The Amazons and more. One-day tickets for Thursday and Friday start at €102, but Saturday and Sunday are all sold out. Four day passes start at €238. The older music fan, be that in age or spirit, who finds that Rock Werchter has becomes too bustling, big or boisterous, can take refuge at TW Classic, a one-stage, one-day event at Werchter’s sacred festival ground. It’s a little surprising to see that Flanders’ foremost rock group dEUS are on the bill this year. Maybe they were convinced by some of the other classic artists gracing the stage: electropop pioneers Kraftwerk, melancholy rockers The National and Richard Ashcroft, formerly of The Verve (remember “Bittersweet Symphony”?). One of the most eclectic Afro-Caribbean festivals in Europe, Antilliaanse attracted around 35,000 revellers last year for an international mix of soca, bachata, champeta, compas, cumbia, salsa, zouk, soukous, reggae, reggaeton and ska artists. This year’s line-up includes Haitian compas legends Tabou Combo, Colombian salsa stars Grupo Niche and Ugandan superstar Eddy Kenzo. Since it goes on until the sun comes up, do it overlooking the main stage with a cocktail in hand at El Balcon, the festival VIP area replete with champagne bar and Caribbean buffet. Parking is included, but there’s no need to rough it out in the campsite either: the festival is also offering a variety of deals with local four-star hotels. Its motto says it all: Festival of new traditions. Born as a folk festival, Dranouter has seamlessly transformed into a broad music festival, without completely giving up its origins. Some of its five stages are still devoted to folk, in all its varieties. The larger podiums are taken by versatile artists whose roots you often can trace back to traditional music (British guitar king Richard Thompson, revived French party band Les Négresses Vertes). But at times, too, by unmistakable pop artists (Intergalactic Lovers) or even a hip-hop posse (West Flemish rappers ’t Hof van Commerce). The festival is in the middle of nowhere, in a rolling part of West Flanders nestled against the French border. 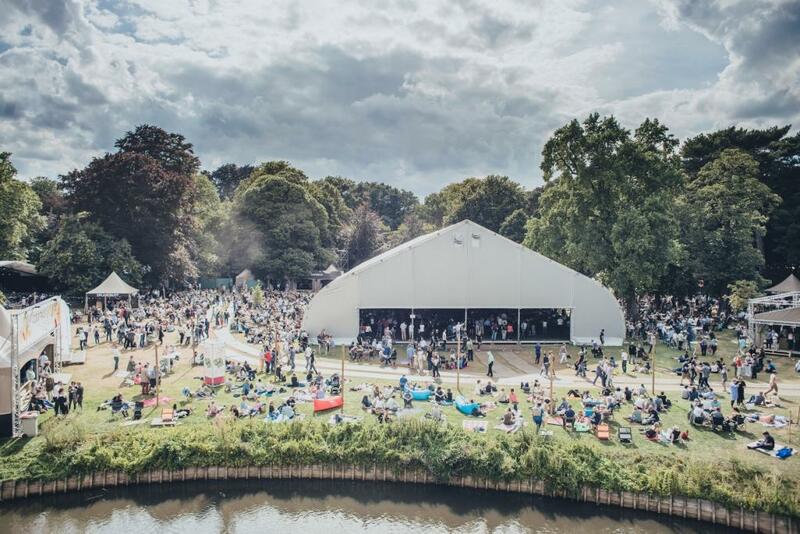 After opening up to other genres in the past years, this year Jazz Middelheim seems to have put the emphasis back on the music it propagates in its name. You can enjoy, for instance, Melanie De Biasio, The Fred Hirsch Trio or the up-and-coming saxophone player Kamasi Washington. But there’s also Jazz Loves Disney, popular Disney tunes wrapped as jazz. And on the second day, the Brussels Jazz Orchestra plays four sets, each with a completely different angle. It’s a festival that not only attracts the genre’s connoisseurs, it also appeals to jazz neophytes. The congenial atmosphere helps, of course. Lokerse holds the cards for attracting stadium bands and this year’s edition boasts Kasabian, The Prodigy, The Manic Street Preachers and Deus, as well as a live set from 2manydjs. The best view comes from the three-metre-high VIP deck to the right of the stage, part of the VIP package on sale at the festival. It includes parking and shuttles, and unlimited access to the VIP area where you’ll be welcomed with champagne and plied with snacks and sandwiches after 23.00. The VIP area also offers a table service menu, a bar and screens to follow the concerts. Every year in the last week of August, the Ancienne Belgique music venue moves its stage to the Warande Park, between the federal parliament and the royal palace. At noon, during Boterhammen in het Park, they invite Flemish artists singing in their mother tongue, like Buurman, Het Zesde Metaal or a tribute to Wannes Van de Velde. At night, during Feeërieën, the state of all things music will be examined. From crispy electronic sounds via high-octane jazz to global sounds emanating from the hippest clubs of Lisbon: it can all be heard from sunset on.